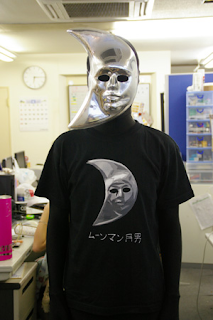 A Rinkya Blog: Scary Moon Face Man? Does anyone know what this scary moon face man is from? I found him on a website in Japan and cannot find any info on him? Looks like a moon masked version of Jason or Freddy Krueger. I'm not sure about the film, I've seen also stars like that, seemingly inspired by Venetian-style carnival.